Torch is one of two torches in Bloodborne. "A common torch formed by wrapping a pine resin-drenched cloth around the end of a long stick. Hunters choose torches not only because the hunt leads them to the darkest nooks, but also because certain creatures they encounter are possessed of a deathly fear of flame"
The torch cannot be fortified nor upgraded. This particular torch is impractical for both combat and Arcane scaling. It's found next to the Brick Troll who's banging on a locked gate in Central Yharnam. After passing through the town square with the massive crucified beast, you'll come upon an area with a fountain. There you will find the torch and can sneak behind the Brick Troll to open up a visceral attack in order to safely claim your prize. This is a placeholder torch until the player acqures the Hunter's Torch located in Old Yharnam. If the Hunter's Torch is not grabbed and you do not already own one, you will play through the game with an inadequate torch. For those looking for a challenge, you could simply use the regular torch instead of the Hunter's Torch to make darker areas more difficult. 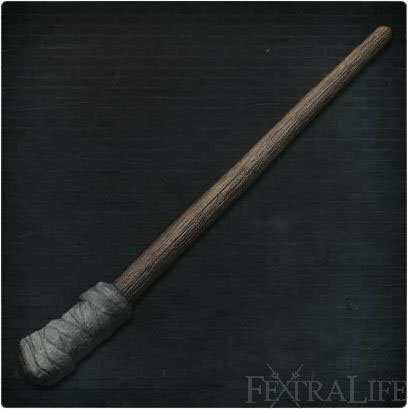 This weapon can still make the Old Yharnam Beasts (non-cloaked) cower in fear, similar to the Hunter's Torch. In real life there are many supernatural beliefs regarding the usage of a torch. Some believed that a torch could ward off evil spirits/beings, and thus torches in the night were more than a mere means to illuminate a dark path. Most importantly, it kept people warm at night, so therefore suddenly feeling a chill was a sign that something unnatural was nearby. For everyone worried about selling the Torch This is wrong: "keep in mind that in order to achieve the Hunter&apos;s Essence trophy you will need the regular torch in possession, so DO NOT SELL IT." I sold the regular Torch after receiving it and still got the Hunter&apos;s Essence trophy. Either torches doesn&apos;t count towards the trophy or it isn&apos;t necessary to have it in possession. but still got the achievement. Either it doesn&apos;t count towards it or the game knew I had it before. This page didn&apos;t need a whole lot of changes, but I made some updates to keep the page clean and intact. Also added information regarding the Old Yharnam Beast&apos;s fear of this particular sidearm. I got rid of mine since it&apos;s only for lighting and not attacking like the Hunters version.